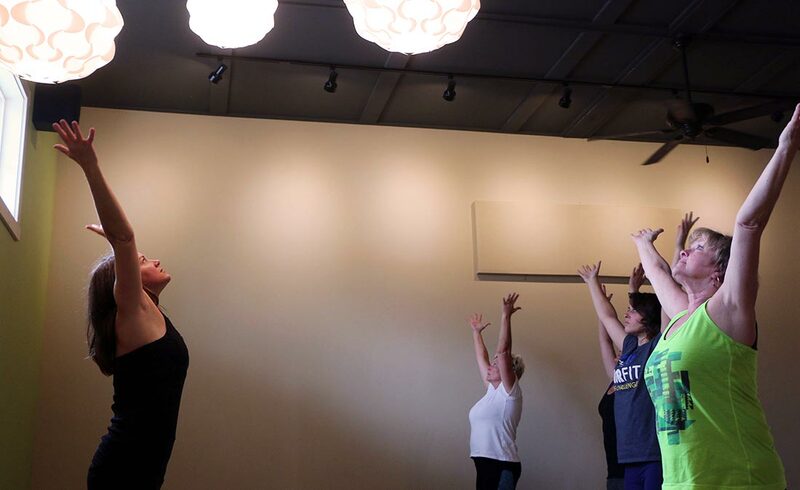 It’s 5:30 a.m. on a Tuesday morning, and Angie Nisley is leading a group of a half-dozen adults in a round of resounding “Ommm”s in her downtown studio, Spacious Heart Yoga. The room rings with the warm hum of group meditation; eyes are closed in a state of active tranquility, postures are restful and strong. Well before much of the city has awoken, this group is greeting the day with acceptance, camaraderie, and love. A bell rings, and the class closes with a quiet bow. They roll up their mats and chat happily as they walk out the door. 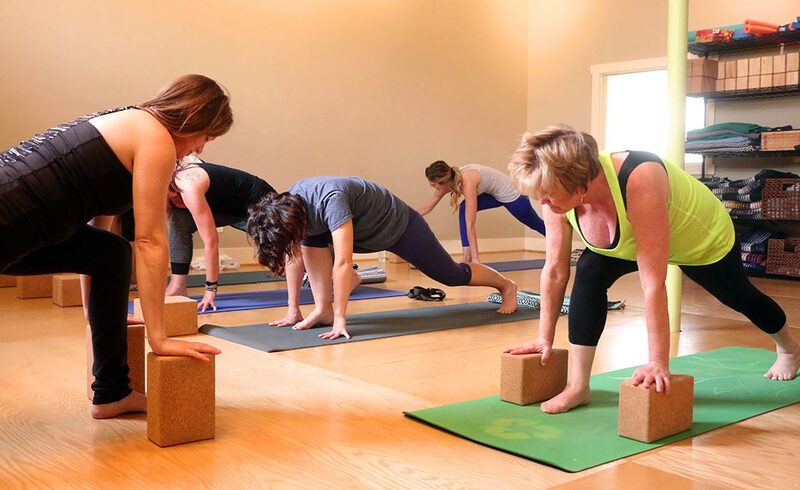 The yogis who attend classes at Spacious Heart come from all walks of life – aged 18 to 82, men and women, from a variety of socioeconomic levels, backgrounds, and faith traditions. That’s the way Nisley and other Spacious Heart teachers, like Sheri Bontrager, believe it should be. 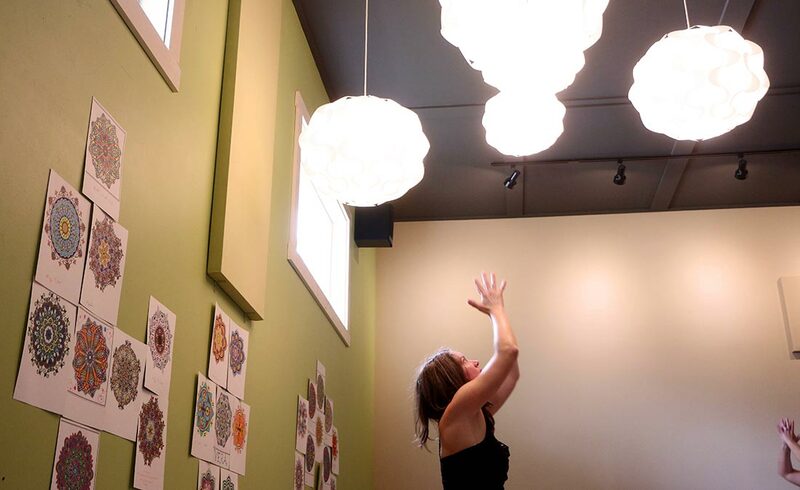 Spacious Heart was started in Goshen by a local yoga teacher, Kara Schmidt, in the early 2000s. The group met in the lobby of IU Health Goshen’s Women’s Retreat Center. As time passed, more people began attending, and Spacious Heart soon outgrew the lobby space. In the mid-2000s, Schmidt moved the studio to “The Famous” building in downtown Goshen. By that time, Nisley and Bontrager were both attending regularly and being mentored by Schmidt. In 2010, Schmidt announced she was moving to Chicago and passed her classes to Nisley and Bontrager. Nisley bought the business from Schmidt in 2012. 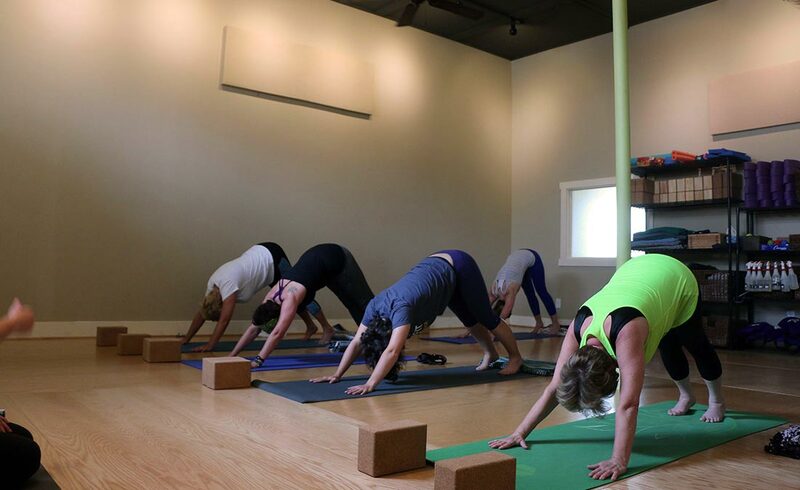 Within a year, Nisley moved the studio to its current location in The Bubble, a wellness facility in downtown Goshen – putting the studio in the same building as a salon, life coach, several massage studios, estheticians, and a fitness studio. Being located in a wellness center works well for Spacious Heart, as the studio is focused on both fitness and simply being. To Nisley and Bontrager, practicing yoga is about engaging every part of oneself: body, mind, and spirit. Both teachers, however, learned this lesson the hard way. Bontrager, too, was led to yoga by pain. For Bontrager, yoga also provided a way to overcome depression. Bontrager and the other teachers at Spacious Heart do their best to share their experience with their students. 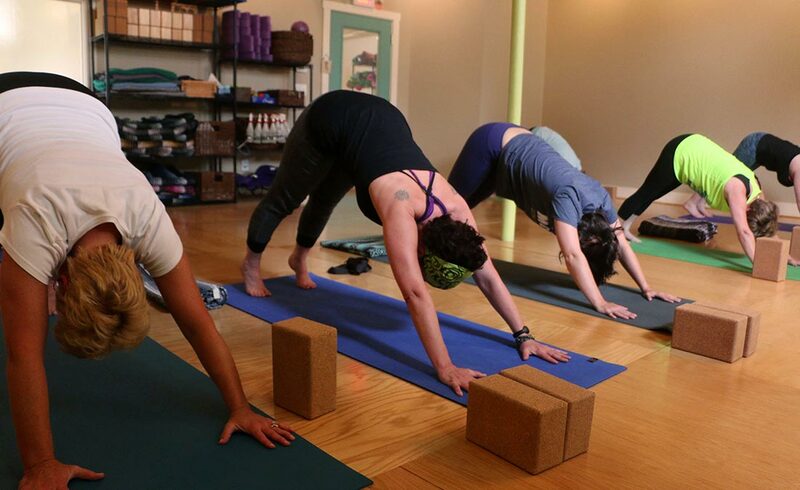 They offer a range of classes – from restorative to vinyasa (or “flow”) – all with a focus on allowing individuals to experience the practice of yoga in their own unique way. Spacious Heart’s downtown location leads to greater visibility – and also helps them to connect with the community. Spacious Heart works hard to get involved in the community. 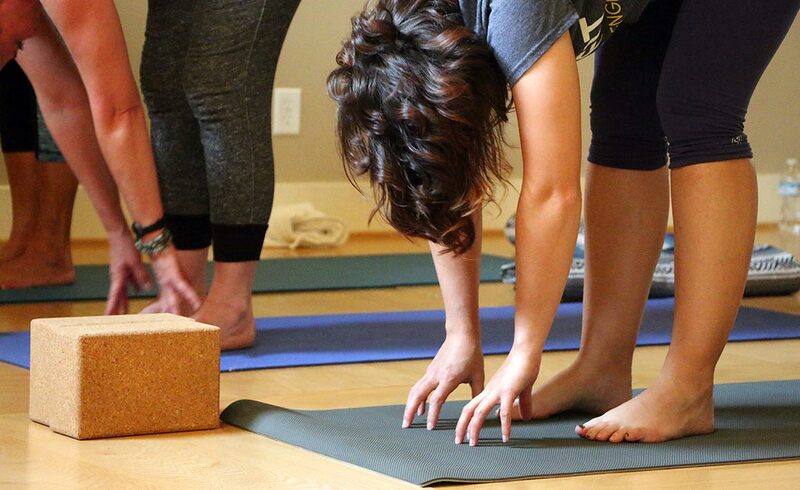 Every Saturday morning, the studio holds all-level community classes for only $5. 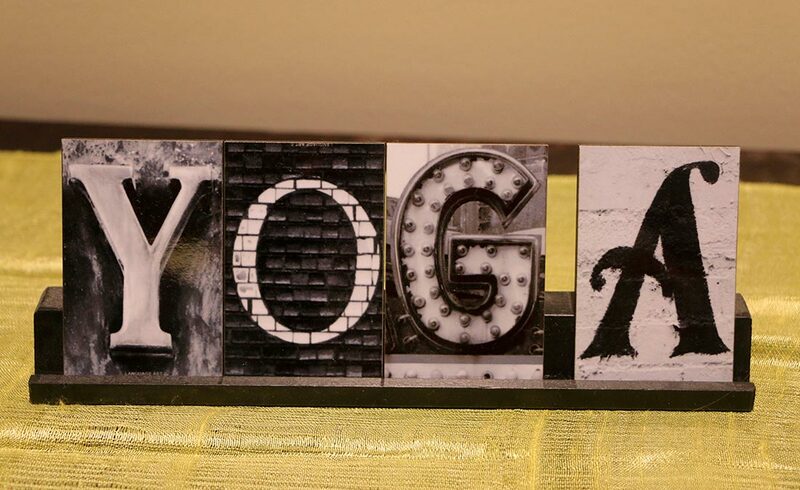 In January, the studio hosts YogaFest, a weekend of free yoga classes. 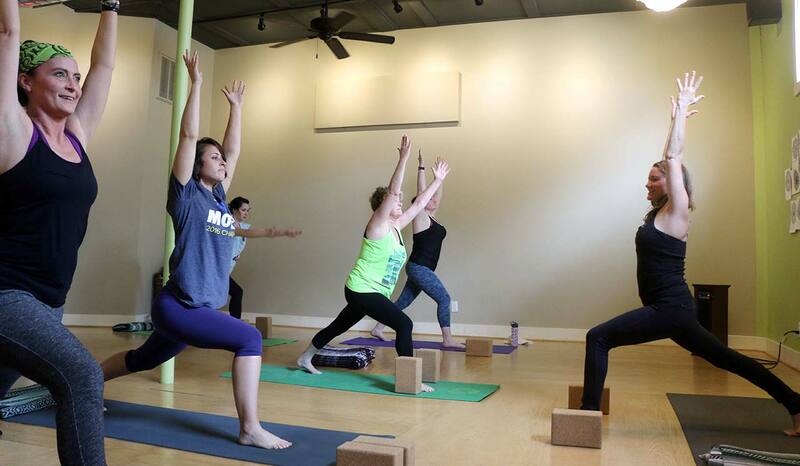 And on June 3, Spacious Heart will launch their Yoga on the Millrace series, an outdoor class that meets Friday mornings at 6 a.m. along the Millrace Nature Trail. Nisley says getting involved in Goshen is easy. “People are supportive of each other in a way I’ve never experienced before,” she said. While Goshen has been the ideal home for Spacious Heart, Nisley loves the city for more than her work at the studio. 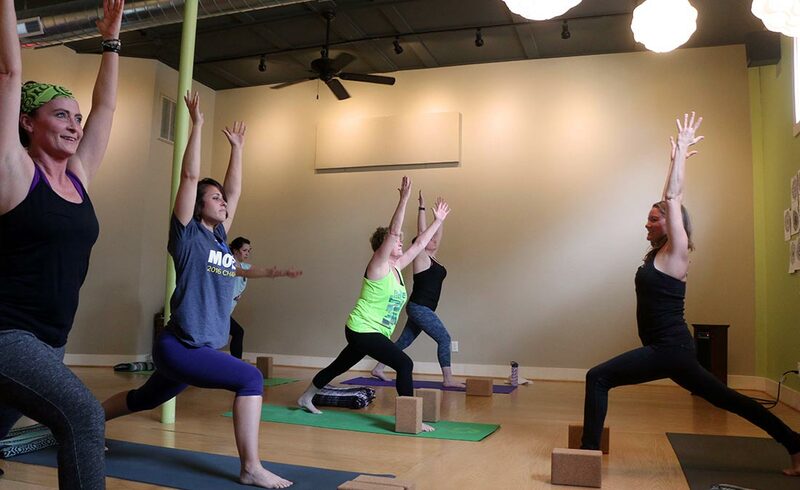 And luckily, Goshen has a yoga studio to help us grow as individuals, too. Yoga is a physical, mental, and spiritual exercise that originated in India, dating back to the sixth and fifth centuries BCE. 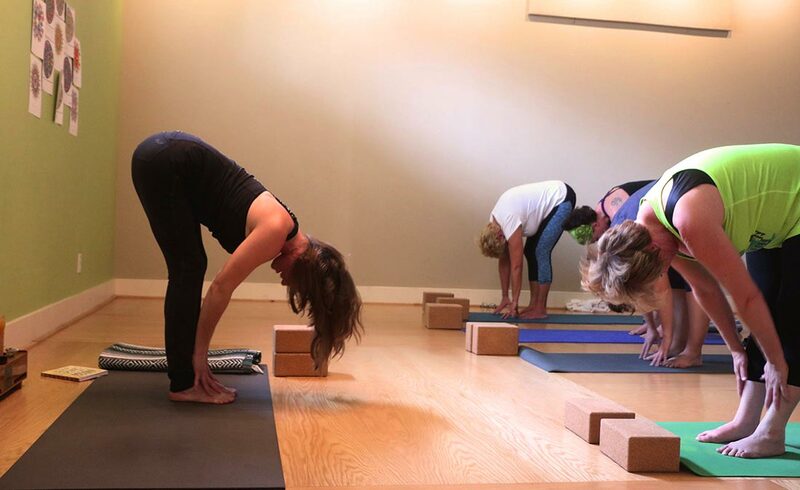 The practice involves a variety of postures that stretch and strengthen the body, while focusing on using the breath to calm and focus the mind and increase awareness. To learn more, check out Spacious Heart’s website.